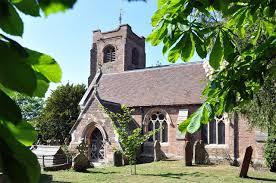 Welcome to St Peter's Church in Pedmore, Stourbridge. Please click on "The Link" to find out what is happening this week and in the near future. The closing date for applications has now passed and interviews were held on Weds 17th April. St. Peter's Church was open for prayer on the day of the interviews from 10.00am until 4.00pm. We look forward to hearing the outcome of the process. We at St Peters Church are committed to keeping children, young people and vulnerable adults safe and to enable them to worship and grow in Christ safely. If you would like more information or to speak to someone please click here. Our aim is to celebrate the love of Jesus Christ and share it by word and action - and we would be delighted to welcome you! Our church services vary in formality, but all aim to help those who attend to worship God and learn more about him in the person of Jesus Christ. If you are able to visit our church you will receive a very warm welcome, and find services designed to help you to worship. St Peter's Church is in the Diocese of Worcester, please click the logo below to access the Diocesan website.